From child prodigy to travelling pedagogue, the story of Franz Liszt is made up of countless adventures, full of love and mysticism! Here are 10 (small) things that you (may) not know about the composer of the Hungarian Rhapsodies and the Faust Symphony. A composer inspired by both literature and poetry, a romantic and whimsical personality, an eternally curious traveller… Franz Liszt may well be the quintessential Romantic musician. However, beyond his work and his character, he was also a thinker, inquisitive, questioning the role of the artist within society, musical transmission, and musical creation. 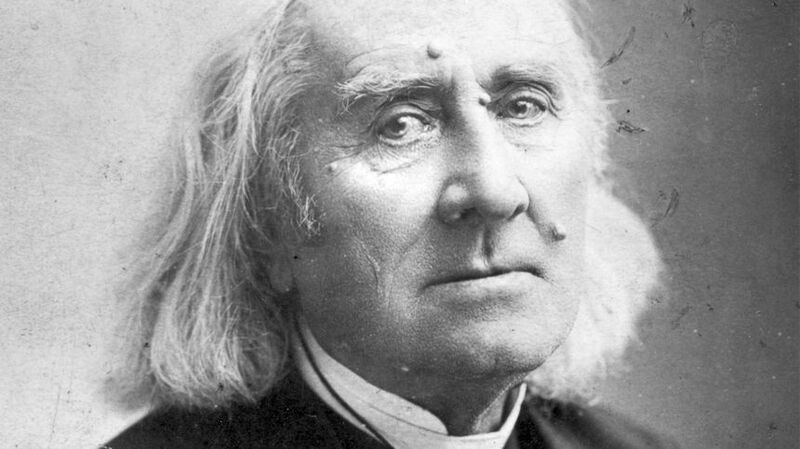 Here are 10 (little) things you may not know about Franz Liszt, emblematic composer and pianist of the 19th century! "When he was six, he heard me play Ries's Concerto in C-sharp minor at the piano. Franz, bending over the piano, listened, completely absorbed. In the evening, [...] he sang the theme of the concerto. [...] That was the first indication of his genius." Liszt's father did not hesitate to make the most of this genius, inspired by the life of Mozart. In 1820, the Liszt family moved to Vienna so that Franz could study with the great composers of the time, Carl Czerny and Antonio Salieri. A year later, the family moved to Paris. 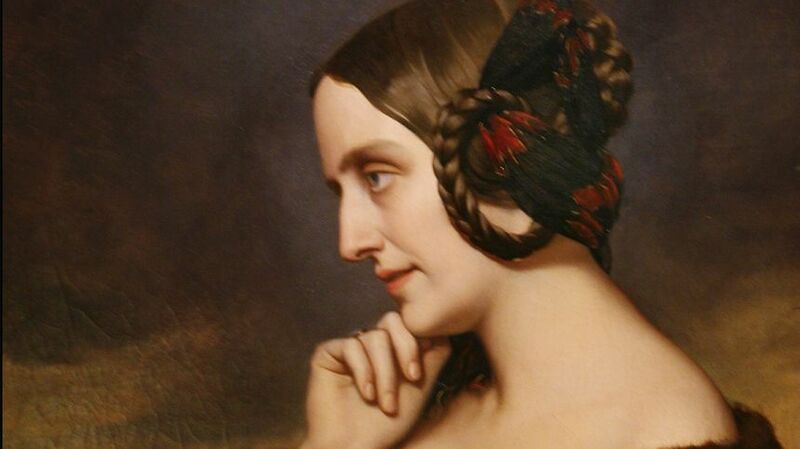 Liszt fell deeply in love with one of his students, Caroline de Saint-Cricq. The love was mutual, but the father of the young girl refused to give his blessing for this union, claiming that the musician was not of a good enough family... Disconsolate, Liszt locked himself away in solitude and religious meditation. So discreet and solitary was he that the newspapers eventually announced his death! "The guns cured him", wrote his mother. 1830 saw the outbreak of the July Revolution: over three days, the "Trois Glorieuses", all of Paris rose up and overthrew the king Charles X. Inspired, Liszt began sketching a Symphonie révolutionnaire, a work that would remained unfinished but whose sketches eventually made their way into his Héroïde funèbre twenty years later. Franz Liszt socialised with some of the most reputable of artists of his time: Victor Hugo (of whom he was a most fervent admirer), Alphonse de Lamartine, Honoré de Balzac, Eugène Delacroix, and George Sand. 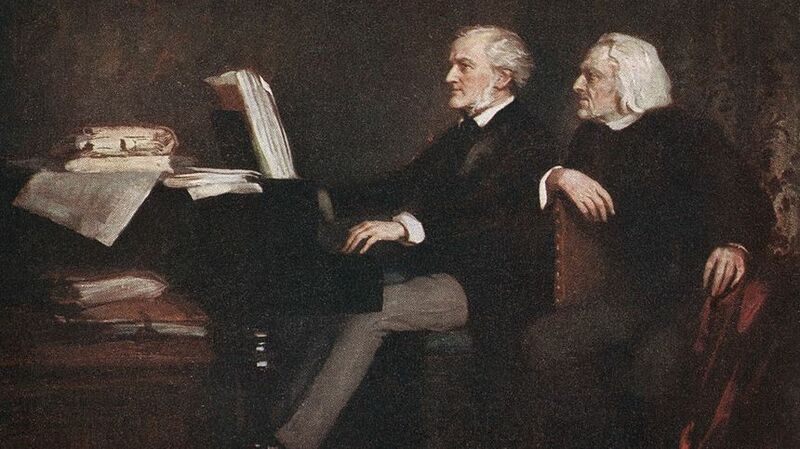 As for musicians and composers, Liszt rubbed elbows with Hector Berlioz, Frédéric Chopin, Robert Schumann and Richard Wagner, to name but a few. Amongst these, two in particular were most important to the composer. Hector Berlioz, an old friend with whom Liszt had shared many passionate discussions regarding literature, art and, of course, music. Secondly Richard Wagner, whom he met later when he achieved a widespread reputation as a musician. Though these friendships weren't without occasional jealousies and quarrels (notably due to the union between Wagner and his daughter Cosima), Liszt was nonetheless a devoted friend, doing everything in his power to promote the music of his friends. In Weimar, where he was the Kapellmeister and conductor, he performed the opera Benvenuto Cellini by his friend Berlioz, and even Tannhäuser and Lohengrin by Wagner. If there is only one date to remember in the fantastic life of Franz Liszt, it must be 1832. Though already an established and reputable piano professor, an esteemed guest of the Parisian salons, he was not yet the revolutionary artist that would ultimately mark the course of music history. 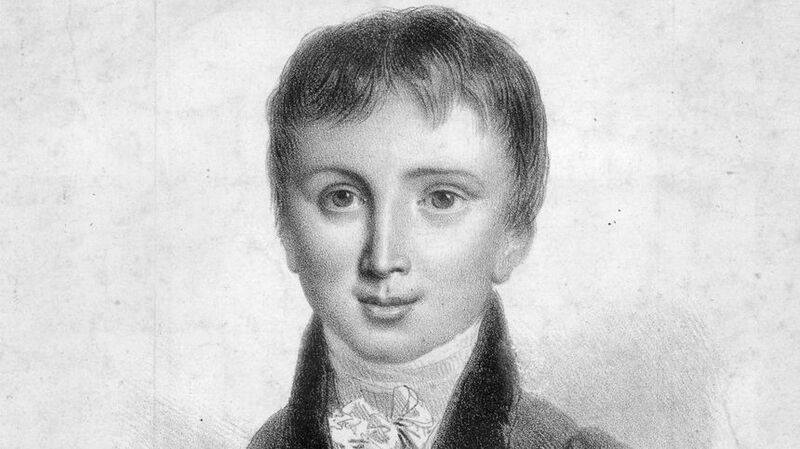 In 1832, on 9 March to be precise, the young Franz witnessed for the first time a concert performance by the violinist Niccolò Paganini. Absolutely astounded by his virtuosity, Liszt finally found his ambition: to push ever further his skills as a pianist and also become a virtuoso. Franz Liszt's technical virtuosity drove the crowds wild! Huge audiences waited to catch a glimpse of the musician after concerts, and certain fans even fainted after catching a torn tatter from one of his silk gloves... Between 1839 and 1847, the legendary pianist led the life of a rock star, years of fame that musicologists today call the Glanz-Period (the golden age). His success was not only due to his technical prowess: he also gave off a distinct magnetism... 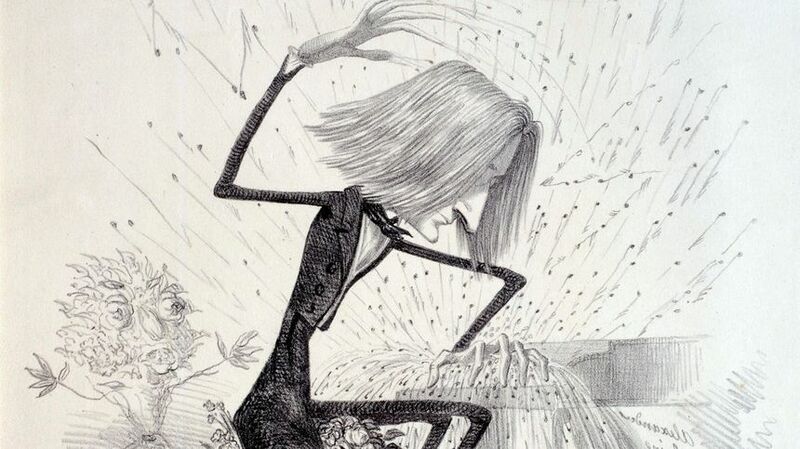 Behind the piano, his face hidden behind long falling hair, Liszt entered into a kind of trance with grimaces and effects that enraptured his audiences. It is important to remember that this Glanz-Period not only influenced audiences of the 19th century but indeed the whole of music history. Liszt introduced a modern form of concert recital, with three key elements: a single performer on stage, a programme performed entirely by memory (without a score), and an eclectic mix of various works (Bach, Chopin, Beethoven…). Every great success has its critics... On occasion, Franz Liszt was capable of annoying his audience members. Several found his concert programmes too "easy", a hotpot of great works that would unquestionably satisfy an audience. His musical style was also often criticised for being too extravagant. Following the Glanz-Period, between 1848 and 1858 after arriving in Weimar, he received as many criticisms as he did compliments. His orchestral conducting, in particular, was the source of numerous remarks, not entirely without merit since he would not always conduct the beat for each bar. To these remarks he replied in 1853: "The principal task of a conductor is not to put himself in evidence but to disappear behind his functions as much as possible. We are pilots, not servants.". One evening in December 1858, at the Weimar theatre, a violent altercation broke out between those in defence and those against Franz Liszt. The composer, weary of his public's opinion, thus swore he would never again raise a conductor's baton. 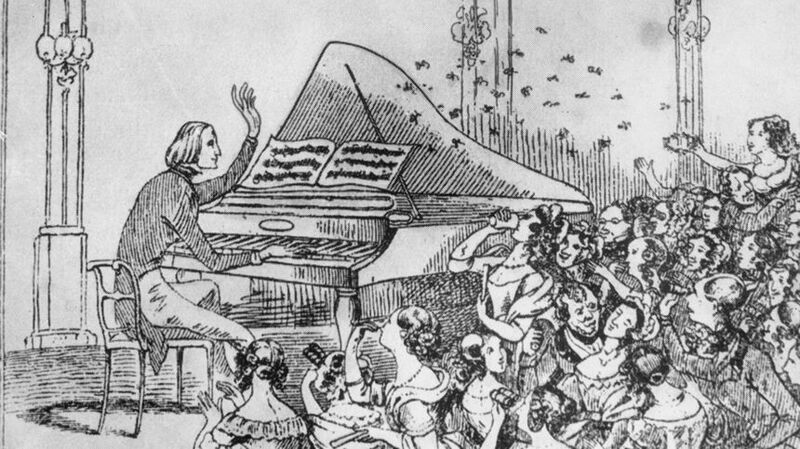 Though he was not necessarily adored by all, Liszt undoubtedly had an effect upon his female audiences, an effect often remarked by his entourage with amusement (or occasional annoyance). However, only two of these ladies stood out for the composer during his life: Marie d'Agoult, and the princess Carolyne Sayn-Wittgenstein. With the first, he caused a scandal: already married and a mother, she ran away with the virtuoso pianist to live the perfect live of love in Switzerland. Together they had three children, but "did not live happily ever after"... The two separated in 1844, after ten years together, after which Marie began plotting her revenge. During his adolescence, alone during two concerts, Liszt would often find refuge in religious texts. The young musician even considered becoming a priest. Though his father convinced him to forget this religious calling, this passion returned following the death of the father. At the age of 20, therefore, Liszt entered the Paris seminary, to live a pious life and die a martyr. Eventually, he found greater satisfaction in the study of Saint-Simonianism, as well as the frequent visits from the priest and philosopher Lamennais, and of course the composition of religious works. But Liszt did not stop there with his ecclesiastical aspirations... In 1865, to the great surprise of his entourage, he received the minor orders in Rome and thus donned the cassock! What on earth got into the composer? For some, he sought to escape marriage. For others, he finally fulfilled his religious ambition. Perhaps he hoped to have his works accepted within the secretive walls of the Vatican...? Liszt was a prolific writer: personal letters, but also articles for the Parisian Gazette musicale. He was also the author of an essay discussing the contemporary composer Frédéric Chopin, published in 1850, and a literary work on Hungarian gypsy music, _Des Bohémiens et de leur musique en Hongrie (1_859). As a composer, he posited various questions: what place is there for an artist within society? What is the role of art with regards to God? Questions and conversations that eventually led to him joining the masonic lodge in 1841 (despite not being the most diligent of people, notably during the concert tours of his Glanz-Period). Like the gypsies whose music had accompanied his childhood, Liszt led a nomadic and wandering existence. Until the final years of his life, he continued to travel, devoting himself in particular to teaching. His various travels nourished his cosmopolitan identity: though he was born in Hungary, he never mastered the language, and only received an education in Vienna and in Paris. In reality, the question of cultural belonging was of little importance to the composer: he expressed both through his actions and his writings a great attachment to each of his host countries as much as to his native land, a great passion for all centres of musical creation, and an interest for the "music of the future".